Jade plant care is easy and simple. Many people enjoy growing jade plants in their homes and offices, and they are considered to be symbols of good luck. 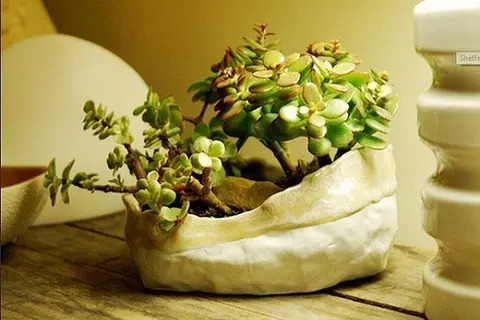 But you do not need to be lucky to learn what the proper care and maintenance of jade plants is. Care Instructions One of the most important things when you care for jade plants is to make sure that they are watered properly. Never let a jade plant dry out completely. But also, do not water a jade plant too often, as this can cause root rot. 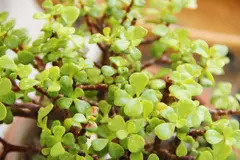 Don�t water your jade plant on a schedule. Rather, water your jade plant when the top of soil is just dry to the touch. 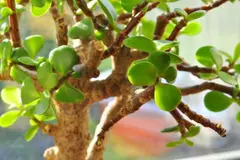 If your jade plant is losing leaves or has leaf spots, this is most commonly caused by too little water. They need full sun in order to grow properly. If they do not have full sun, they may become stunted and leggy. For proper jade plant care, fertilize your jade plant about once every six months. Use a balanced water soluble fertilizer. An important thing to keep in mind is that you should water your jade plant in the regular way and then water it with the fertilizer water. Never fertilize your jade plant when the soil is dry, as this will damage the roots.